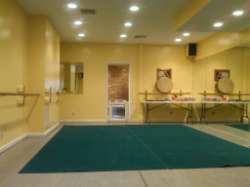 Serving Northern Bay Ridge, and convenient to Sunset Park, Dimensions in Dance is at street level. 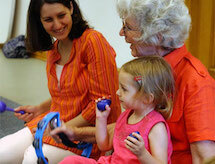 There is a small lobby where you can leave strollers, then come on in to the dance studio where we hold our classes. A big dance mirror is a nice feature here! Alternate side of the street parking opens up on Fridays at 10:00 on nearby streets, or look for a meter. We are close to the R train (77th Street stop) or the B70, B63, or B4 buses run nearby.